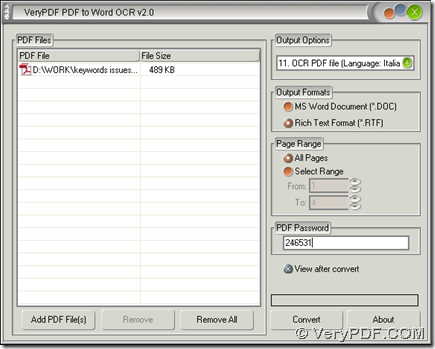 With PDF to Word OCR Converter, you can convert password protected PDF to Word with OCR technology, which can help you process scanned PDF file flawlessly. To know more details, please continue to read this article, which can tell you more in this aspect. 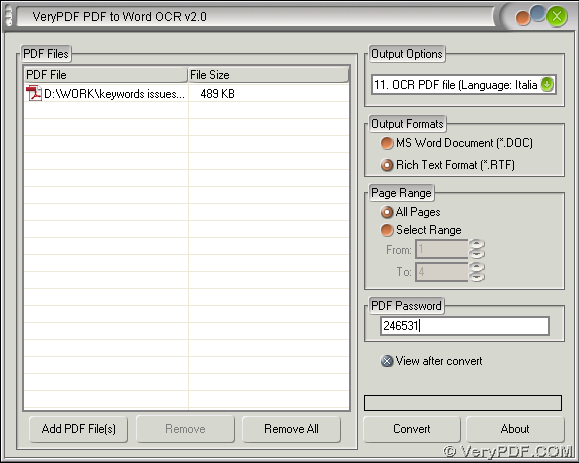 After installer of PDF to Word OCR Converter is downloaded, please double click it, then follow setup wizard step by step in order to install PDF to Word OCR Converter successfully. So this is the end of the illustration about how to convert PDF to Word with OCR technology in Windows platform. So if you have some questions on this process, please leave your comment here. In addition, if you have some questions on PDF to Word OCR Converter, I think you can log on official website of PDF to Word OCR Converter. This entry was posted in PDF to Word Converter and tagged OCR technology, PDF to Word. Bookmark the permalink. i am first time user of this PDF converter, once i will use then only i can comment. During the using, if you have any question, please contact us as soon as possible. support@verypdf.com or livechat.